Taking up again the tradition of the Friesian School, this is a non-peer-reviewed electronic journal and archive of philosophy, inaugurated on line July 6, 1996, four years before the end of the 20th Century, just as the brilliant, courageous, prolific, and little appreciated German philosopher Leonard Nelson (1882-1927) started his Abhandlungen der Fries'schen Schule, Neue Folge, attempting a "Reformation of Philosophy," four years after the beginning of the 20th Century. In 2018, this journal has now passed its twenty-second anniversary on the Web, older than many more famous sites. The essays at this site, addressing many philosophical, historical, scientific, religious, economic, legal, and political issues, range from the fully annotated and technical to more informal and discursive discussions, often originally written for undergraduate classes. Many items therefore should be intelligible to those not familiar with all the arcana of academic philosophy, or with academic philosophy at all. This is done deliberately, since the trend, by which philosophy has become obscure and esoteric and mostly dropped out of popular and literate culture, should be resisted. Work of a similar range, with the appropriate philosophical orientation and grounding, is acceptable and desired for submission to the journal. Submissions will be considered that relate to the persons, issues, and history illustrated in the following statements, biographical sketches, and editorial essays. Treatments of issues that do not involve the Friesians or other philosophers mentioned below directly are sought if they parallel or supplement Kantian or Friesian doctrine, from metaphysics to political economy, or throw light on the history of philosophy in ways at least consistent with Friesian principles and sensible scholarship. Exemplary and supplementary works from recent philosophy may be found under Reviews. Contributions that do address the Friesians, etc., need not conform to the direction of interpretation that is editorially preferred. Although now with several contributed works, the number of submissions to the journal remains thin, often inappropriate, and all but never from academic philosophers or graduate students, whose concerns still seem to reflect unhealthy preoccupations with Nietzsche, Heidegger, Wittgenstein, Marx, and the farcical and pretentious mash of "Theory" that is circulated in departments of English, Sociology, Anthropology, etc. The website thus may be just the personal project of the editor. That will remain the case as long as interest in the Friesian School is minimal, as it is now (at least outside of Germany), and as long as the tendency of contemporary philosophy is to illiberal and irrationalist nihilism, as detailed below. Despite this site being present since 1996, academic philosophy apparently does not regard the Proceedings as a noteworthy, significant, or even legitimate venue for philosophy -- as I have recently noted that contemporary discussion of dilemmas has ignored long available Friesian perspsectives. The Classical Liberal, Lockean, and Jeffersonian political preferences here also may be a problem, since the habit of the academy now is to marginizalize or silence non-leftist dissent. This grows worse, with mobs and riots, as many are aware, in 2018. But it must fall upon someone to maintain a liberal Friesian tradition -- exemplified by F.A. Hayek and Karl Popper, whose own conception of the "Open Society" is now misused by those whose goals, frankly Hegelian and Marxist, are for nothing of the sort -- however long it takes until interest will sustain itself. Much of the content of the site, which has accumulated more than 120 megabytes of material, including graphics, is therefore editorial. The tendency of earlier Friesian journals, such as Ratio (now published by Basil Blackwell), to become venues for mainstream academic philosophy, is not something the editor wishes to allow; and writers looking for just any home for their work will be disappointed. The Proceedings of the Friesian School, Fourth Series, employing what was at the start the new medium of the World Wide Web, already linked from numerous sites and indices around the world, having by the turn of the Millennium already received up to 2,504,524 hits and 153,114 page views from 63,114 unique users a week, rather than becoming another dusty, obscure presence on library shelves, avoids the costs and complications of publishing, binding, mailing, and subscriptions, and establishes a Friesian presence in a way that is immediately accessible to potentially every computer on earth -- with contacts and responses from California, and now New Jersey, to Australia, Taiwan, Korea, China, Greece, Romania, Germany, Sweden, Italy, Iceland, Brazil, Croatia, Iran, Pakistan, South Africa, and more, an opportunity for the curious, for those concerned with the sterility, obscurantism, and tendentiousness of recent philosophy, and for those dedicated to Leonard Nelson's own project of Socratic Philosophy. Calvin Coolidge, to the Massachusetts State Senate, January 7, 1914. An unjust law is no law at all... To put it in the terms of Saint Thomas Aquinas, an unjust law is a human law that is not rooted in eternal and natural law. Martin Luther King, Jr., "Letter from a Birmingham Jail," 1963. Home Page last updated 19 April 2019, Solar Term , "Clear & Bright," Good Friday, Egyptian New Year. The Proceedings of the Friesian School, Fourth Series seeks to promote the further development of the Critical Philosophy of Immanuel Kant (1724-1804) in the direction indicated by Sir Karl Popper's remark in The Open Society and Its Enemies that "serious men,"
Jakob Friedrich Fries (1773-1843) (at right), did not at first take seriously the "senseless and maddening webs of words," as Schopenhauer put it, of G.W.F. Hegel. First, the sterility and agnosticism of positivistic, scientistic, and merely analytic schools, characteristically, if not always originally, Anglo-American, which have frequently denied the possibility of knowledge in metaphysical or ethical matters, and sometimes the possibility of constructive philosophical knowledge at all, with, according to Karl Popper, a "concentration upon minutiae (upon 'puzzles') and especially upon the meanings of words; in brief .... scholasticism." As Allan Bloom said, "Professors of these schools [i.e. positivism and ordinary language analysis] simply would not and could not talk about anything important, and they themselves do not represent a philosophic life for the students." Students and the intellectually curious looking for some concern, any concern, about the truths of being and value, the content of wisdom, or some humane purpose, found instead what has aptly been called a "valley of bones." Although continuing analytic philosophy sometimes appears as a small island of some sanity in a sea of increasing nonsense, as with John Searle, it retains almost all of its sterility, futility, and what could even be called a self-referential autism. The Proceedings still receives e-mail from people passionately advocating so miserable, impoverished, and incoherent a theory as Logical Positivism, or who argue that the concept of "order" is a subjective matter that is not part of science, despite its quantified and essential presence in thermodynamics. Second, the nihilism, relativism, pseudo-science, and frequent political authoritarianism and dogmatism of the originally Continental alternatives: Existentialism, Marxism, deconstruction, and now "post-modernism." Deconstruction, Bloom said, "is the last, predictable, stage in the suppression of reason and the denial of the possibility of truth in the name of philosophy." The truly last stage, however, is the "post-modern" combination of Anglo-American sterility with the higher irrationalism of a politicized deconstruction, the kind of thing we find in Richard Rorty's denial of philosophical, moral, or even scientific knowledge but affirmation of trendy leftist "solidarity." This combination represents, as Bloom and how Emmanuel Faye have perceived, the appalling, terrifying, and tragically ironic adaptation of the philosophical foundations of Fascism, from people like Friedrich Nietzsche and Martin Heidegger, who both despised mere liberalism, to supposedly "progressive" political causes, replacing the Classical Liberal principles, now widely scorned by both left and right, of the Enlightenment foundations of liberal, free market democracy. Hence, one need hardly ask why students and scholars are more frequently directed to study the authoritarian Thomas Hobbes, a defender of political absolutism and judicial positivism, rather than the libertarian John Locke, one of the inspirations of the American Revolution, as he had been the apologist of the English Glorious Revolution (1688). Indeed, Locke is so widely ignored, that leftists often think of Hobbes as some kind of representative of liberalism and criticize the individualism of his "state of nature"! -- even while breathing deep of his statism and authoritarianism [note]. Western academics and intellectuals have truly and heartily taken up the cause of totalitarianism, fallen from the dead hands of fascism and communism, with the same goals, through the same methods, namely, laws about speech, thought crimes, disarmament of civilians, political control of private property and private relationships, denigration of religion, political propaganda through state schools, the militarization of police, the destruction of the rule of law through discretionary powers given to executive officials and bureaucrats, the subversion of trial by jury, etc. etc. There are also new twists, like the distortion of civil rights law into a means of abolishing civil rights. Then, when we see anarchists dressed in the black of Italian Fascisti, and masked like Klansmen, vandalizing property and assaulting academic speakers, calling themselves "anti-fascists," the bitter irony is complete. Although Anglo-American philosophy tended to worship at the feet of science, the drift of academia to the left has led to characteristically totalitarian political attacks on science itself -- this despite the leftist program to use "climate science" to impose a Sovietized command economy on energy and the tactic to smear climate skeptics, i.e. "Deniers," through associaton with Creationism or Neo-Nazi Holocaust denial. None of that has stopped the "post-modern" move, which may even be called the "post-Copernican" move, where the "de-centering" of meaning and objectivity, returns the "marginalized" literary critic or theorist to the Ptolemaic center of the universe, whence modern science, now demystified and unmasked as an instrument of white, male, homophobic, Euro-centric oppression, had proudly thought to have dislodged an arrogant humanity. This has given new meaning to the words "obscurantism" and "sophistry." Where the arrogance (let alone the intolerance and "extremism") has settled now is all too plain to those familiar with American academic life, where many American colleges have "speech codes" or equivalent regulations that openly violate the First Amendment and their contractual obligations for academic freedom. Radical professors, and often whole schools of "education," are literally teaching students to hate their very own civil rights, let alone respect those of others. The Proceedings of the Friesian School, Fourth Series takes the editorial view that Schopenhauer and Fries represent the most critical, fruitful, and faithful response to Kant and that Schopenhauer, Fries, Nelson, and all those who have used or been strongly influenced by Critical Kantian and Friesian ideas represent an avenue of development from Kant that provides an alternative philosophical tradition, rational, positive, and Classically Liberal, right through the Twentieth Century and to the present. This journal, therefore, editorially subscribes to certain Principles of Friesian Philosophy, expressed both in summary statements and in editorial essays. Work in their spirit must be encouraged and a forum provided for it, when and if it develops. Such is the project here [note]. The Kantian sense of "Critical," it should be noted, is unrelated to recent uses of the term in "critical" literary theory, "critical legal theory," "critical race theory," or even in "multicultural" textbook treatments of "critical thinking," in all of which the word is usually a (Frankfurt School and other) dissimulating substitute for "Marxist" -- where all analysis is about "power" and class relationships, is contemptuous of "bourgeois" values and freedoms, including freedom of speech, and where the "voices" of other cultures are always coincidentally about oppression by capitalism, globalization, and/or American "imperialism" (i.e. self-defense against terrorists, fascists, and communists) -- while ignoring things like the Chinese genocide against the Tibetans and Uighurs. Considering the millions murdered, tortured, enslaved, and impoverished by Marxists in the 20th Century -- with hunger and starvation now in both North Korea and the most recent darling of the Left, Venezuela -- one would have to consider continued true believers among the most uncritical people, let alone the most naive or dishonest, in intellectual history -- a description that is sadly all too applicable to much academic culture in the United States, where Marxist doctrine and Leninist behavior are alive and well. These recent uses of "critical," meaning the dogmatic application of ideology rather than any genuinely critical attitude, are thus oxymoronic examples of Orwellian "double think," just as when terms like "people's republic" and "democratic republic" were used (and now revived in "democratic socialism") to mean, not popular sovereignty and responsible government, but totalitarian statism and dictatorship. Today we see expressions like "People's History" or the "People's Climate March," whose ideological commitments are thus rather openly indicated. Combinations of Marx, Nietzsche, Freud and others, as developed by Sartre, Marcuse, Foucault, Derrida, etc., is promoted under the term "Theory," and scholarly work that doesn't invoke the canon and its jargon is dismissed as "under-theorized." Thus, a miserable and largely exploded fragment of 20th Century philosophy comes to be accepted, mainly outside of philosophy, in Anthropology, Sociology, and English Departments, as the equivalent of essential and unproblematic method and truth. Since this preserves a flame from the moral, political, and economic debacle of Marxism (recently reignited through the statism, demagoguery, and dictatorial manner of President Obama, and exacerbated after the election of Donald Trump, who has been accused, at least, of the same kinds of things -- while universities are now the scenes of thugs -- who ironically call others "fascists" -- mobbing and attacking speakers disliked by "progressives"), it is a nice irony that one of the signers of the doctoral dissertation on Democritus of no less than Karl Marx (who somehow escapes condemnation as a "dead, white, male") was none other than Jakob Fries. Since The Proceedings of the Friesian School, Fourth Series is not a peer-review journal, and is seeking specific and rare kinds of work, it has not attracted a large number of submissions over its now twenty-two and a half year (1996-2019) life. But neither has it attracted submissions that were written mainly or merely for credit towards academic tenure and which are liable to be unintelligible even to a well educated member of the public. Although philosophy journals reject 90% of submissions and now rarely bother to explain rejections or provide reader reports, submissions here have tended to come from non-academics, students, and independent scholars, rarely from the graduate students or junior faculty who otherwise are desperate for publications, but who will tend to write on trendy "current" issues for peer-review journals. There is still little that is trendy about the Proceedings of the Friesian School; and academic philosophers have overwhelmingly ignored its presence and its ideas. Meanwhile, Hegel still seems to attract more positive attention than Schopenhauer, which certainly is consistent with the growing totalitarian mindset of American intellectuals -- many of whom nevertheless do not seem to even understand the logical implications of their own commitments. As Schopenhauer said of his time, it seems to be an age of dishonesty, in philosophy as well as politics. Academic philosophers thus may not be very interested in the project of the Friesian School, any more than the theologians of Paris were interested in Descartes; but it remains to be seen if the works of contemporary academic philosophy are ever noted or remembered after or outside the incestuous community, the opaque, Hermetic references, and the impenetrable jargon of philosophy departments, clubby conferences, and the prestigious journals. Twentieth Century philosophy passed by Leonard Nelson, but his memory, commitment, and passion, with the promise of philosophy as more than an esoteric exercise of self-congratulation, but truly as a basis of enlightened moral and political action, and of aesthetic, eudaemonic, moral, and religious fulfillment, are preserved here against a better future, where a dedication to knowledge means that there is actually an interest in discovering the truth (not dismissing that as impossible), and in explaining it (not necessarily even at public expense) to an educated, inquiring public, in a context of Jeffersonian democracy. The original Abhandlungen der Fries'schen Schule were published by Jakob Fries's principal student, Ernst Friedrich Apelt, from 1847 until his death in 1859. That was effectively the end, for the time being, of the Friesian School. The Friesian School has suffered more than once from the premature death of its principal exponent. Leonard Nelson rediscovered Fries's work while still a high school student, revived the tradition, usually referred to now as the Neo-Friesian School, and in 1904 began publishing the Abhandlungen der Fries'schen Schule, Neue Folge. Papers in the Abhandlungen remain of some note in the history of logic and mathematics, although the specifically Friesian material is, of course, largely ignored and forgotten. 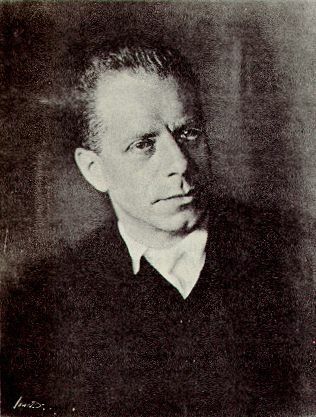 Sir Karl Popper (1902-1994), who was a relative of one of Nelson's students, Julius Kraft (1898-1960). Popper and Kraft argued for years about Nelson's views, although Popper had described himself as a kind of Friesian. Popper's doctrine of falsification, in turn, based on the Friesian theory of justification, influenced his friend and benefactor, the Nobel Laureate, Austrian School economist, Friedrich A. Hayek (1899-1992) (at left) in his theories of free market economics and constitutional government. Hayek, in turn, was one of the formative influences on the "Chicago" school of economics, which includes figures like Milton Friedman, Thomas Sowell, Gary Becker, etc. Carl Gustav Jung (1875-1961) (at right), whose ideas, on their philosophical side, were also formatively and independently influenced by Kant and Schopenhauer. Nelson's early death and the coming of National Socialism -- some in Nelson's group fled the very day of Hitler's appointment as Chancellor -- cut short the life of the School in Germany. The Abhandlungen der Fries'schen Schule were then discontinued in 1937. Many of Nelson's students became refugees during World War II, including Julius Kraft, who had first fled Nazi Germany to teach at the University of Utrecht in the Netherlands and then happened to find himself in the United States when the War broke out. After the War, Kraft taught in the United States and then was in London between 1954 and 1957, renewing his relationship with Karl Popper. Then, despite having lost both his parents in the Nazi Holocaust, Kraft returned to Germany and took up teaching again at the University of Frankfurt, which he had left in 1933. Popper, on the other hand, turned down German teaching offers and refused to return to Austria. It was also in 1957 (December) that Kraft founded the journal Ratio , with both English and German editions, trusting in the Liberal inspiration of the English tradition. Ratio ran to six issues (three volumes) under Kraft's editorship, before his untimely (again!) death in 1960. Meanwhile, L.H. Grunebaum, another from Nelson's circle, oversaw, through the "Leonard Nelson Foundation" ("to keep before and make available to the public and to perpetuate the ethical and pedagogical ideals and ideas of Leonard Nelson..."), the translation and publication in the United States of two books containing Nelson's works, Socratic Method and Critical Philosophy [Yale, 1949; Dover, 1965; Kissinger Publishing, 2008], and the System of Ethics [Yale, 1956]. Nelson's great Critique of Practical Reason (Kritik der praktischen Vernunft) was also translated but never published. Copies of the manuscript translation, however, were bound and made available in 1970. Grunebaum's effort, although sustained and attracting some attention at the time in academic philosophy -- Brand Blanshard (1892-1987), at Yale, wrote a Foreword to Socratic Method and Critical Philosphy, as H.J. (Herbert James) Paton (1887-1969), at Oxford, did for the System of Ethics -- nevertheless seems to have resulted in little real enthusiasm and no permanent effect, except to attract the attention of the publisher and editor of this journal, who himself did not conduct or enjoy what could be called a conventional career in philosophy, despite teaching the subject for twenty-two years. Ratio may be considered to be the "Third Series" of the Proceedings of the Friesian School. Although it merely claimed to continue "in a new form philosophical aims pursued with uncommon seriousness and courage in the Abhandlungen der Fries'schen Schule," it initially featured several key articles by Kraft, by Popper, and by people from Nelson's circle, such as Gustav Heckmann, Paul Bernays, and Stephen Körner. Under the subsequent editorship of Körner himself, Ratio, with the occasional piece about Nelson, began to function as a mainstream philosophy journal. The German edition was financed by Nelson's Philosophisch-Politische Akademie e.V., which has continued under some of Nelson's students and their successors as a center for interest in Socratic Method, philosophy of mathematics, politics, and other issues -- although, with a trendy German leftism, not acknowledging the importance of figures like Otto and Hayek for the Friesian tradition. The English edition of Ratio was published by Basil Blackwell for the "Society for the Furtherance of the Critical Philosophy," directed by Paul Branton (1916-1990). This continued through 29 volumes until 1987, with Martin Hollis (1938-1998) as the final editor, when the German edition was discontinued and complete responsibility for the English journal was assumed by Blackwell. A Ratio (New Series) was started and continues, but it was and is entirely without connection to the Friesian School. Now the "New Series" part of the title has been dropped, and it is called Ratio, An International Journal of Analytic [sic!] Philosophy. Although Grete Henry-Hermann's completion of the project of editing and issuing the nine volumes of Nelson's Gesammelte Schriften [Felix Meiner Verlag Hamburg] in 1974 coincided with a significant effort to promote Nelson's thought, including a two volume 1971 English edition of Progress and Regress in Philosophy (Fortschritte und Rückschritte der Philosophie) [Basil Blackwell], little enthusiasm came of this project either, while professional and academic philosophy continued, as noted above, on its persistently unsatisfactory courses. 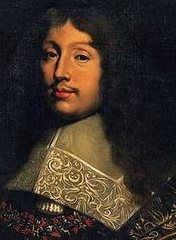 The end of the Friesian Ratio in 1987 seemed to represent the nadir, the final exhaustion, in the Friesian revival begun by Nelson, as philosophical interest in Nelson was insignificant, as Nelson's students had pretty much died out, and as Nelson's works in English had completely fallen out of print. The self-defeating strategy of presenting Nelson as "an analytic philosopher before his time" recommended him to no one, certainly not to analytic philosophers, who already had plenty of repesentatives of their own impoverished school and didn't need another one, especially one who could be found talking about things entirely alien to their principles. Scholarly work on Fries has grown in Germany, and successors to Nelson's Academy have continued activity with Socratic Method in Germany, the Netherlands, and England, but there remains little notice of this in America, in English language philosophy, or on the international stage. The revolutionary and seminal principles of Kant-Friesian epistemology, at the same time, seem to have been abandoned by all. Now, at least, Socratic Method and Critical Philosophy has returned to print in a fascimile edition [Kissinger Publishing, 2008]. The Proceedings of the Friesian School, Fourth Series is therefore founded on the determination that the lapse of Friesian philosophy in English cannot be allowed to be. Now, Leonard Nelson and Friesian principles will be here on the World Wide Web, however heretical they are, for anyone looking for alternatives to the sterile, nihilistic, or illiberal mainstream of 20th Century thought. Let this be the Palladium of Friesian Philosophy. And yet for truth, in a manner of speaking, they said nothing. Socrates, Plato's Apology of Socrates, 17a, Plato, Euthyphro, Apology, Crito, Phaedo, Phaedrus, Loeb Classical Library, Harvard University Press, 1914, p.68, speaking of his accusers. Comme c'est le caractère des grands spirits de faire entendre en peu de paroles beaucoup de choses, les petits esprits au contraire ont le don de beaucoup parler, et de ne rien dire. As it is the character of great minds to make many things understood with few words, so small minds, to the contrary, have the gift of talking a lot and of saying nothing. Thomas Jefferson, letter to Joseph Milligan, April 6, 1816, after example of Jean Baptiste Say and others. Attributed to Albert Einstein (1879-1955), provenance unknown. Submissions should be identified as such, with name, postal address, e-mail address, and academic affiliation, if any, of author. Submissions without notice of academic affiliation, a resumé, or explanation of educational or scholarly background are inappropriate. Please supply them. Simple correspondence may be less formal but should identify the sender. Recent correspondents have often omitted the appropriate details. Please do not send e-mail or submissions without reading the further cautions that follow. Note that as of June 30th, 2009, I retired from teaching at Los Angeles Valley College. I will consequently no longer be using a mailing address there, as I did while teaching. The college does not forward mail, and while I previously have sometimes picked up mail from the College mail room, I have now moved to the Princeton area in New Jersey and will not be visiting Valley College as I did 2009-2013. A new mailing address is now posted above, and hard copy letters and submissions will now reach me. Apart from submissions, however, the preference is for correspondence to be sent by e-mail to the AOL.com address. Items sent by mail to Valley College will probably be thrown away. E-mails to The Proceedings of the Friesian School should use a subject line that clearly identifies them by the webpage referenced and, if appropriate, "personal." Subject lines like "Hi!" or "Hello!" or even "Thanks! ", or with cryptic references to topics (like a recent complaint about Ayn Rand with nothing in the subject line but "very innacurate"), are used by spammers and may be blocked by (the AOL) filters or simply deleted by me. I sometimes have discovered that I have mistakenly deleted legitimate e-mails. If you have sent something for which you might expect an acknowledgement or desire an answer, but it has not been forthcoming after some months, try again. Information about typographical or formatting errors, dead links, missing pages, or just fan mail, is especially welcome. For some time, the proof-reading help of William Bruce was invaluable. He read much of the site and uncovered typos and other problems that sometimes have been in place for years. His own website, the "The Web Proofreading Project," now has lapsed. Meanwhile, this does not mean that abundant typos do not remain at this site, especially on new pages. Any kind of correspondence received that is considered significant, as information, criticism, or discussion of the material or views presented in The Proceedings of the Friesian School, may be edited and posted at the site. These are "letters to the editor." However, correspondence considered personal, that the writer does not want to be subject to posting, need merely be clearly identified as such. Names will also be withheld upon request. Exchanges of correspondence have not been posted recently at the website. The editor has become less interested in carrying on debates with people who have no interest in Kantian or Friesian philosophy and who write only because they have their own axes to grind and take exception, as apologists, to the characterization here of people like Rand, Nietzsche, Marx, Heidegger, Wittgenstein, etc. A recent correspondent was even outraged at the treatment of Gottfried Leibniz. These debates generally turn out to be pointless, especially when the apologists actually suffer from the same failings, morally or intellectually, as those they defend. Anyone who wants to know why people like Nietzsche or Marx are criticized in the way that they are in the Proceedings can find out by reading the pages here on ethics, economics, etc. Inquiries for clarification are then welcome. Sometimes further exchanges are discontinued when the correspondent has failed to understand that his errors of fact and logic have already been sufficiently critiqued. Sad to say, some people just persist in missing the point. Writers of insulting or abusive letters should consider that such correspondence may not be answered or, once its nature is recognized, even read. Merely hostile letters are welcome if their points are stated politely and succinctly. In general, missives larger than 5K are in some danger of being disregarded. Also, multiple answers to an editor's reply decrease the likelihood of any further responses. It is usually part of polite and honest exchange for correspondents to give their names. Submissions to the Proceedings should be in line with the editorial purposes of the Proceedings, or be of sufficient general interest to recommend themselves to the editor. Writers should understand that submissions that are unrelated to the edtiorial purposes of the Proceedings and that may in fact be inconsistent and incompatible with the principles of Kant-Friesian Philosophy are simply not going to be considered for posting. There are plenty of venues for that elsewhere. Also, while it is encouraging and edifying that people develop their own ideas and their own systems of philosophy, it is paradoxical to ask the editor to pass judgment on or make recommendations concerning things that, again, may be inconsistent and incompatible with the principles of Kant-Friesian Philosophy. You should be able to predict what I will say -- and if you have not read enough of the Proceedings to know what that would be, there is no reason why things should be submitted here for publication or review in the first place. Do not send articles in any word processing format (e.g. Microsoft Word or Word Perfect), or in HTML. Special formatting is worthless when files must be converted into HTML, which is basically ASCII text; and the HTML produced by most composers will not be in the style of the Proceedings. Special symbols, if necessary (e.g. logical or mathematical symbols), should be glossed in situ. Graphic files to accompany articles may be described but should not be sent until the text article is accepted. Because of the threat of viruses, large attachments, of any format, not cleared in advance, will be deleted without being opened. Items ever submitted in hard copy, or on hard media, for publication, or correspondence sent by mail, become the property of the publisher and will not be returned. It has been suggested that an online message board be established for The Proceedings of the Friesian School. However, although the material at the Friesian site generates steady e-mail comment and feedback, often from people who have their own agendas, either philosophically or politically, there is rarely anything specifically concerning Friesian philosophy, and still little from philosophy students, either graduate or undergraduate. I will consider that there is sufficient interest in Friesian philosophy to warrant a message board, or blog, when there is actually a philosophy student, preferably a graduate student, who is interested in supervising such venues. Anyone desiring such a responsibility can create a message board or blog. If I am persuaded of their Friesian bona fides, it will be linked and promoted from this page. Meanwhile, an unauthorized Facebook page has been created for the Proceedings of the Friesian School. The editor has no connection or responsibility for that page and was not even informed of its existence by its creator. If this reflects interest in the Proceedings, its existence is gratifying, but so far brief persuals of its contents seem to indicate the same problem of irrlevance to Friesian philosophy that is evident in the history of e-mail traffic. Occasionally, some rare correspondents are so enthusiastic that they hope to organize a sort of Friesian movement. In general, such things seem rather hopeless. It would be enough just to have some general interest. Instead, the movement should be for the restoration of Jeffersonian democracy and a Constitutional government of limited and enumerated powers in the United States, and for the promotion of the principles of liberal democracy and the free market elsewhere. There are plenty of organizations, political and non-political, partisan and non-partisan, for people to join if they wish to help in that effort. Action in this respect is strongly recommended. The times are perilous, both at home and abroad. EGON SPENGLER (HAROLD RAMIS): "Print is Dead." The Proceedings of the Friesian School, Fourth Series is a non-periodic journal and archive of philosophy, updated as needed, published and edited by Kelley L. Ross, Ph.D. All text materials, unless otherwise indicated, are officially copyrighted and registered with the United States Government (c) 1979, 1985, 1987, 1996, 1997, 1998, 1999, 2000, 2001, 2002, 2003, 2004, 2005, 2006, 2007, 2008, 2009, 2010, 2011, 2012, 2013, 2014, 2015, 2016, 2017, 2018, 2019 by the publisher. Unattributed pages are editorial in nature and are authored by the editor, as can be seen from the copyright notice at the bottom of the page. All rights are reserved, but fair and good faith use with attribution may be made of all contents for any non-commercial educational, scholarly, and personal purposes, including reposting, with links to the original page, on the internet. It is not necessary to obtain copyright release for such uses, but the Proceedings would be grateful to be voluntarily informed, for informational purposes only, of the placement of its materials. Commercial use of these materials may not be made without written permission. Images at the site are either (1) proprietary, having been produced or personally provided for the site, (2) in the public domain, (3) used by permission of the copyright holder, (4) used under the legal provision for "fair use," by which they are featured in a limited way, countenanced by law, neither for profit nor in a way likely to impose financial loss on the copyright holder, or (5) whose copyright status cannot be determined, as when the originating organization or corporation has ceased to exist or there is no response to inquiries. Over the years, for instance, Dover Publications has never answered even hard copy inquiries about copyright status. Questions about the status of images may be directed to the editor. Various pages and graphics from this site have been reproduced elsewhere, often without informing the Proceedings. Many of these have been modified or represent older versions of Proceedings pages. Such sites might be advised to use links instead, or at least keep their mirrors, if that is their intention, updated. Persons who unnecessarily request permission for references, quotes, or links should be aware of their "fair use" rights under copyright law. Some authors and organizations, past and present, do not want to even be mentioned or discussed, let alone quoted, without their permission, but this is a legally excessive and unenforceable preference. Copyright law is already getting a bit out of hand, and everyone should vigorously exercise and maintain fair use rights. The term "Friesian School" is neither a trademark nor the name of a corporate person but the public domain designation of a historic school of philosophy. The term "Friesian School" therefore may be found used elsewhere, and various statements may be found made concerning the school, by other parties who have no connection to, and for whose claims no responsibility can be taken by, this publication, its editor, or publisher. The use of this site is subject to the condition that neither the editor, publisher, nor the contributors will be held liable for any damages, including any general, special, incidental, or consequential damages, that may arise from the use of, or inability to use, this site, any of its contents, or the off-site links that it contains. Although the editor was previously an employee of Los Angeles Valley College, and part of this site was used for his classes at the College, nothing at this site is or has ever been owned, sponsored, or endorsed by the College or by the Los Angeles Community College District, and the editor was not and is not operating in this capacity as an agent of the College or District. The College has no connection to, interest in, or responsibility or liability for any opinions or their expression at this site, although the views of the editor, while a teacher at the College, were protected by the principles of academic freedom and the Constitutional guarantee of free speech. The same qualifications are in order now that the editor has been an employee of Rutgers University, teaching one class for the Department of Philosophy, Spring 2017, for which pages at the site were used, as in previous teaching at Valley College. "The Proceedings of the Friesian School, Fourth Series" is the copyright-protected name of a non-commercial, non-profit, unincorporated educational enterprise for which payments or donations for any purpose are neither solicited nor accepted. The expenses of this site are personally defrayed by the publisher. The contents of this journal are therefore protected by the First Amendment of the United States Constitution, without the specious exceptions generated under the judicial sophistries of "commercial speech" (Valentine v. Chrestensen, 1942) or of the wicked and bad faith "relaxed review" of rights under "ordinary commercial relations" (the infamous and despicable 4th footnote to United States v. Carolene Products Co., 1938). Nor may the First Amendment in this case be abridged by the Federal Communications Commission of the United States, which has neither natural, moral, nor (honest) constitutional jurisdiction over the medium of the Internet -- as has recently been confirmed in Federal Court, despite the subsequent usurpation of authority by the FCC to regulate "net neutrality," a move which we now know was designed by Stalinists (i.e. Democrats) as part of their strategy to suppress free speech on the Internet. Unfortunately, since the Internet has no particular owner, it has become subject to the "tragedy of the commons" as spammers have abused the system of e-mail and deluged users with unsolicited and unwanted advertisements and offers, not to mention swindles. Since this is not just annoying to private users, but is costing businesses a great deal of time and money, it is beginning to suggest legislation against it, creating the dangerous precedent of regulating Web communication (as is desired by the Stalinists). This is a grave and undesirable development, but it does reinforce that lesson that common ownership leads to overuse of any resource. Without a private owner or owners, the internet by default is left to the state, which is beginning to move, for better or worse, against spammers. Still using Netscape? No Problem! Your browser will need to be pretty old to have any difficulties with the code at this site. There are no Flash graphics here at all and no pop-ups that are not initiated by a prompt. If you experience such things happening, you are already infected from some other source, not this site. Articles at this site are posted with a black on white (or light colored) format. Some pages, however, like this homepage and the index pages, have white print on a black background, and some readers may find these hard to read. Others will experience difficulty attempting to print out such pages from the screen, since with some browsers the white type prints out as blank pages. Others do not and automatically correct for white fonts. These problems previously could be overcome in the web browser Netscape by opening the "Preferences" entry in the "Edit" menu: The "Category" tree will contain an "Appearance" entry, under which is "Colors." Unfortunately, Netscape, for which I retain affection, has now been retired in favor of other browsers, such as Firefox. I have not decided yet if this is an improvement. There were features of Netscape that I liked better than Internet Explorer, but recently some of those had been lost, apparently in an attempt to be more like Explorer. Internet Explorer and other browers make their own provisions for overriding the format of the document. One can also increase the readability of any webpage, with any colors, by changing to a larger type font. These pages are formatted for a 640x480 screen (with some exceptions) with 12 point type. Expanding to an 800x600 (or larger) screen will both leave many empty spaces on some pages and make the type look relatively smaller. On larger screens, a larger type, such as 16 point, may be appropriate. In Netscape, the font controls were on the same menus as the color controls, and almost any size of type could be selected. In Firefox, font size is under "Content" in the "Options..." section of the "Tools" menu. In Internet Explorer, a relative "text size" can be selected from the "View" menu. It is suggested that the window used for the web browser not be expanded to the whole screen, but adjusted in size to suit the layout of the page being viewed. Some pages have "optimum window width" bars as a guide to this, as shown below. Over the years I have stayed at hotels where Web access was available through televisions in the guests' rooms. In each case (in hotels as far apart as Flagstaff, Arizona, Atlantic City, New Jersey, and London, England) the screen was fixed at 640x480 pixels with a large type face that could not be reset. Users should be cautioned that this will cause some images and text to overlap and be obscured, with no remedy. Hotels with web browsing provisions might have employed more flexible systems. But more recently I have seen a decline in the provision of web access through hotel entertainment, perhaps because people with such an interest bring their own laptops or smartphones and prefer using wireless or hotel plug-in web access. This eliminates the difficulties I used to encounter with web access through the hotel room televisions -- before there were smart-phones or before I would travel with a laptop. In newer web-browsers, the location line at the top of the screen and/or the tab marker displays an icon before the URL. This will be a default icon if the website being visited does not have one posted, but will otherwise show one designed for the site. This is called the "favicon.ico" or the "favorite [site] icon" since it was originally to provide an icon leading to what had been bookmarked as a favorite site. The favicon.ico of the The Proceedings of the Freisian School is a colored version of the Borromean Rings, three overlapping circles that were originally found on the crest of the Renaissance Italian Borromeo family. This is now the legal Trademark of The Proceedings of the Friesian School, registered with the United States Patent and Trademark Office (Reg.No.4,532,204). The Borromean Rings proper are intertwined in such a way that removing any one of them leaves the other two unlinked. The topological implications of this are explored in a marvelous computer generated film, Not Knot, by the Geometry Center of the University of Minnesota (directed by Charlie Gunn and Delle Maxwell, distributed by Jones and Bartlett Publishers, Inc., Boston), where the rings are related to non-Euclidean space. The rings are also found in logic, where they represent all the possible ways that three sets can overlap each other. This is called a "Venn Diagram." Finally, the diagram is used here, with the colors that are seen, to display all the polynomic categories of value. This is why it is adopted as the Trademark of the journal; and its meaning is explained at A New Kant-Friesian System of Metaphysics and the Six Domains of the Polynomic System of Value. This page first appeared in July 1996 with the appalling URL, http://bestla.calstatela.edu /www/lavc/philosophy/friesian.htm, under the Los Angeles Valley College webpage, hosted by California State University, Los Angeles. My thanks to John Beck for helping set up the original site. Unfortunately, after John left, it was a long time before Valley again was ready to host faculty web sites. I soon made alternative plans. By August 1996 the "friesian.com" domain name was obtained, and the site came to be hosted, with gratitude, by Jonathan Hartman and his Fountainhead Internet Systems. Service was later transfered to Bite Networks, ISP and carried there for many years with the technical advice of Ed Saavedra. Since February 2006 the site has been carried by GoDaddy.com. The Proceedings is now also accessible through the "friesian.org" domain as well as the "friesian.com" domain.